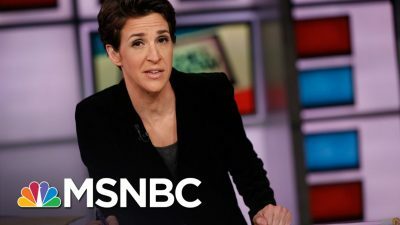 Rachel Maddow‘s May 2 MSNBC show, highlighted Andrew Kramer‘s same day New York Times (NYT) article, saying the Kiev regime has decided to limit its cooperation with the Robert Mueller led FBI investigation on an alleged collusion between Donald Trump’s 2016 US presidential campaign and the Russian government. The Kiev regime is presented as feeling pressured to not cooperate with Mueller, for the purpose of maintaining the military aid it has received from the Trump administration. Maddow’s May 2 show included an appearance by The NYT’s Kenneth Vogel. To conform with her overly subjective and inaccurate spin, Maddow was quite selective in what she wanted out of Vogel. Specifically, Vogel’s August 18, 2016 Politico article about Konstantin Kilimnik, who has had ties to Trump’s former Campaign Manager Paul Manafort. As claimed, Kilimnik might’ve been working with Russian Intel during the 2016 US presidential election campaign. Manafort served for a time as a consultant to Ukrainian President Viktor Yanukovych before the latter’s ouster in 2014. On Maddow’s show, Vogel acknowledged some reason to question the extent (if any) of Kilimnik having a Russian Intel relationship for the period at issue. That’s the most objective part of her May 2 anti-Russian propaganda. With the coming months and years in mind, it’ll be interesting to see if anything conclusive comes up to support the notion of an anti-Hillary Clinton operation, involving Kilimnik, the Kremlin, Manafort and Trump, during the 2016 US presidential election. the considerable unpopularity of that regime. These are obviously inconvenient points for Maddow, who takes the easy way out by not mentioning them. In line with this tact, she omits mention of another article which Vogel had written. 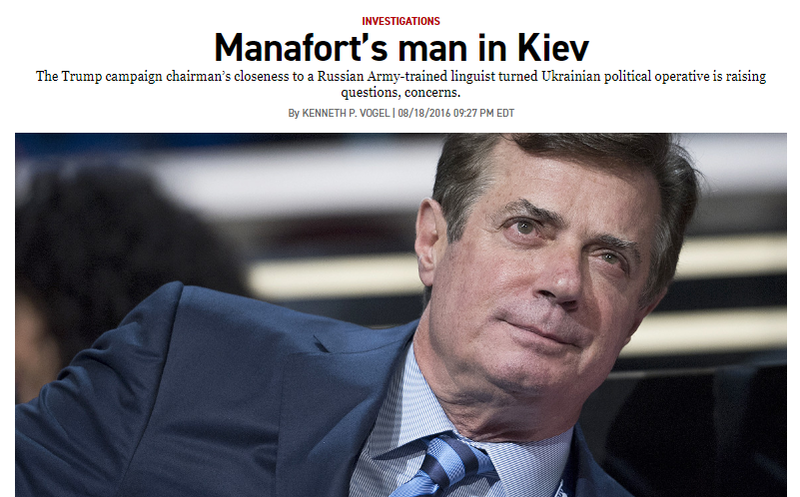 He coauthored with David Stern a January 11, 2017 Politico article, about the Kiev regime’s 2016 clandestine effort to find damaging information on Trump and Manafort. At the time, the Kiev regime was particularly uneasy with Trump’s position on Russia. CNN later followed up on this issue with Stern. He acknowledged not having as detailed a conversation as Vogel with the Ukrainian-American activist Alexandra Chalupa, who was involved with the Kiev regime’s effort against Trump and Manafort. In the aforementioned CNN segment, Stern was hesitant to equate that activity with what the Russian government has been accused of doing with Trump. Months have gone by with no conclusive proof of a Trump-Russian government collusion. The ongoing investigation against Trump essentially serves the purpose of trying to nail him on something else. As a classic example, note how the Feds found Al Capone guilty of something much different from what he was being investigated for. 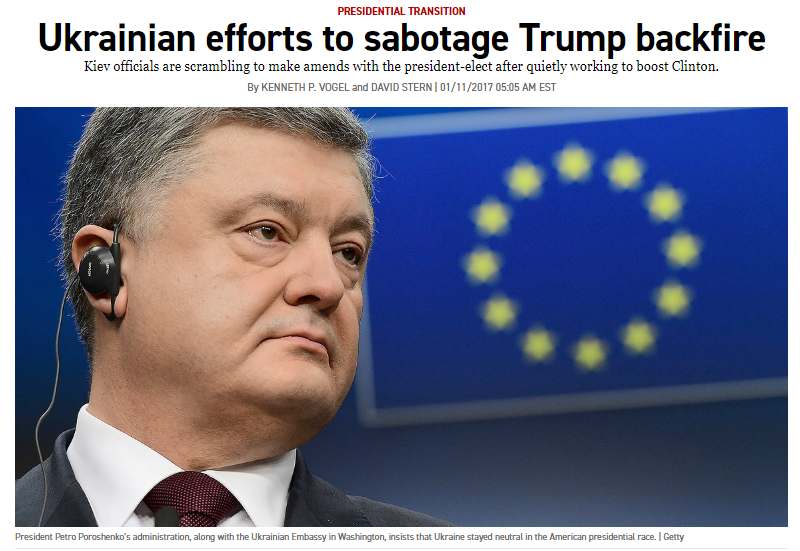 The neocons are pleased with Trump’s decision to increase military support to the Kiev regime. Neolibs have been generally more apprehensive on that move. For its part, Russia is understandably concerned about the Kiev regime, perhaps at some point launching a Croatian scenario into the rebel held Donbass territory. That move could very well lead to an increased exodus to Russia and pressure from within Russia to militarily strike back. In the meantime, the likes of Maddow recklessly use Russia as a political football on a major US cable TV news network, offering little if any diversity in its coverage of that country.